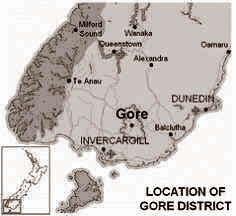 Welcome to the home page of the Gore Branch of the New Zealand Society of Genealogists. We are an enthusiastic bunch of family and local historians and our member's genealogy interests, family stories and brick walls; branch newsletters and resources are on this site. Also link to our blog of what we've been up to and family stories from our members. Visitors are very welcome and we meet in Gore on the first Tuesday of each month. The benefits of membership include assistance with research, access to NZSG resources, trips to other repositories and a lively group of friendly and interested fellow genealogists. See below for our programme of varied and motivating speakers. Local areas - Gore, Ardlussa, Balfour, Charlton, Chatton, Clinton, Edendale, Heriot, Kaiwera, Kelso, Maitland, Mandeville, Mataura, Pukerau, Riversdale, Tapanui, Waikaia, Waikaka, Waipahi, Wendon, Wendon Valley, Wyndham and everything in between. 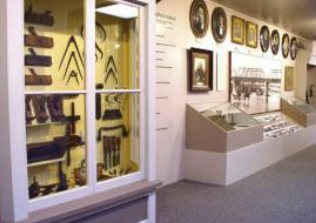 Our sister organisation, the Gore District Historical Society, was established in 1969 and has gathered a collection of historical objects, photographs and information; holds meetings and field trips; and assisted in establishing the Eastern Southland Gallery and the Gore Historical Museum. In addition to operating the museum, the Society meets at 2pm on the second Monday of the month where invited speakers address members on a variety of subjects of historical or general interest. Trips and other activities are also arranged.